Detroit, Dec 18th,2018(PENNYSTOCKS.NEWS) Nemaura Medical Inc. (NASDAQ: $NMRD). Nemaura is a medical technology company in the United Kingdom, that is developing the sugarBEAT®. This is an affordable,non-invasive, and flexible Continuous Glucose Monitor (CGM) which is mostly used by people with diabetes. SugarBEAT®consists of a daily disposable adhesive skin-patch that is connected to are chargeable transmitter, with an app displaying glucose readings at five-minute intervals for periods of 24 hours max. This manages the patient’s glucose levels by spending more time in range. Insulin users can adjunctively use sugarBEAT® when calibrated with a finger-stick glucose reading. The company announced yesterday, a proposed registered public offering of its common stock and warrants. This offering will be subject to the market and additional conditions. Although the company cannot give any assurance as to whether or when the offering may be completed, even including the actual size or terms of the offering. The company Dawson JamesSecurities, Inc. will be acting as a sole placement agent in regard to this offering. If the offering goes through, then Nemauraplans to use the net proceeds for a U.S FDA clinical trial. The product launch in Europe and the development of the second generation sugarBEAT. The proceeds will also go to the corporation in general and the working capital purposes. The content of this article (hosted under the “www.pennystocks.news.com” domain) is for general information purposes only and does not constitute advice to buy or sell any particular stock or securities. 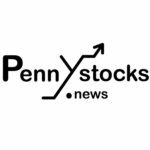 PennyStocks.News, LLC. Tries to provide content that is true and accurate as of the date of writing; however, we give no assurance or warranty regarding the accuracy, timeliness, or applicability of any of the contents. Readers should always consult and seek the advice of an appropriately qualified professional before undertaking any transaction that involves the purchasing or selling of any stock or securities. PennyStocks.News, LLC. Accepts no responsibility for and excludes all liability in connection with browsing this Web site, use of information or downloading any materials from it, including but not limited to any liability for errors, inaccuracies, omissions, or misleading or defamatory statements.